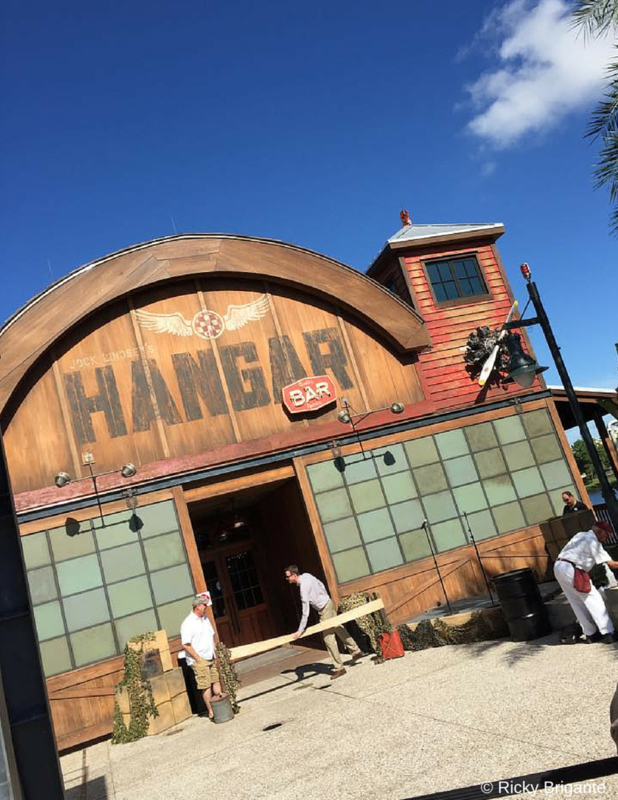 Start your date night off right by heading over to the 1940’s hangar-bar-turned-dive-bar, Jock Lindsey’s Hangar Bar. 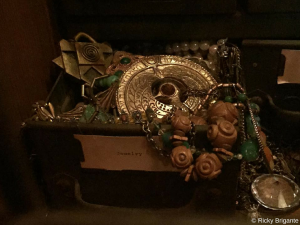 Once home to Indiana Jones’ ex-pilot and sidekick, Jock, the Hangar Bar proves to be a huge hit among movie buffs and foodies alike. Indy fans will love “Shorty’s Singapore Sling” and the “Cool Headed Monkey” for fun and exotic pre-dinner libations. I’d have to say that this is an awesome start to your Disney Springs date night! It’s going to set the tone for something super cool and unlike any date you’ve ever had before. 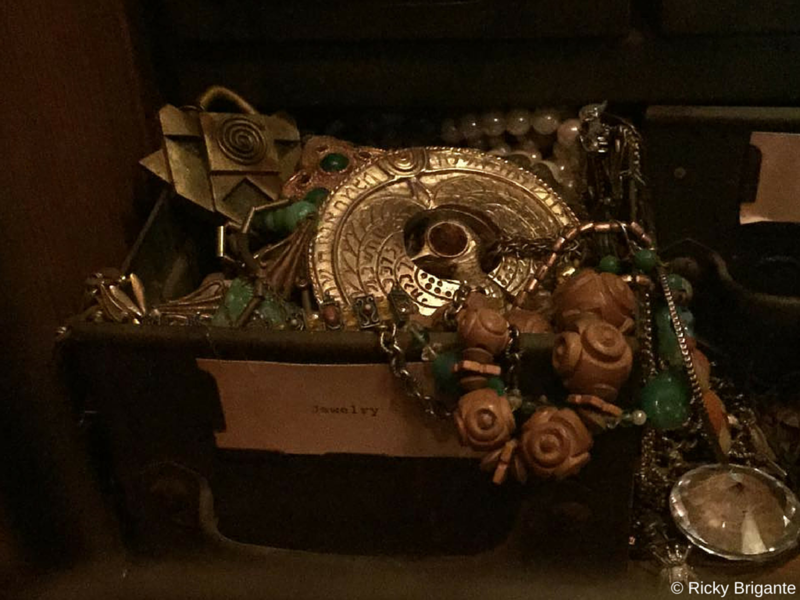 Be sure to keep an eye out for Easter Eggs such as the Jurassic Park tooth, R2-D2, multiple Indy references and (for those in the know) images and artifacts from the Society of Explorers and Adventurers! 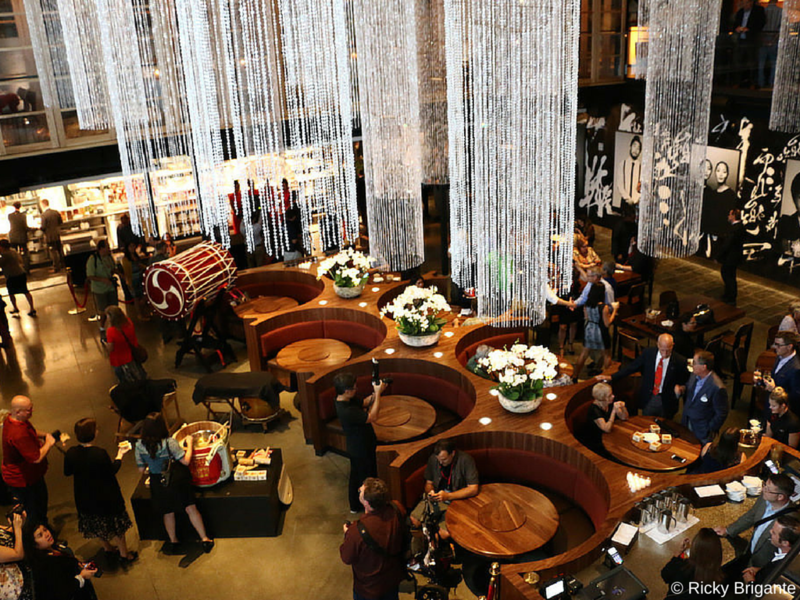 One of the most exciting additions to Disney Springs is the Pan-Asian inspired restaurant created by Iron Chef America’s Chef Morimoto. Morimoto Asia features a huge range of food from unique appetizers to specialty sushi rolls. The Pan-Asian blend makes for a delicious menu enjoyable for everyone, and you HAVE to try the Churro Fondue for dessert! I really like choosing Morimoto Asia as the prime dining location on your date because it gives a hint of sophistication to your evening and will be sure to make your night special. The food is incredible, the atmosphere is chic yet cozy, and the service can’t be beat. If you aren’t familiar with Splitsville, then you are missing out! Splitsville is undeniably cool. It’s a boutique bowling alley, and I know you’ve got to be thinking,“What? That makes no sense.” Just stay with me. Splitsville incorporates traditional bowling alleys with a modern twist and boasts an impressive wine list, sushi selection, swanky cocktails and a killer rooftop view. 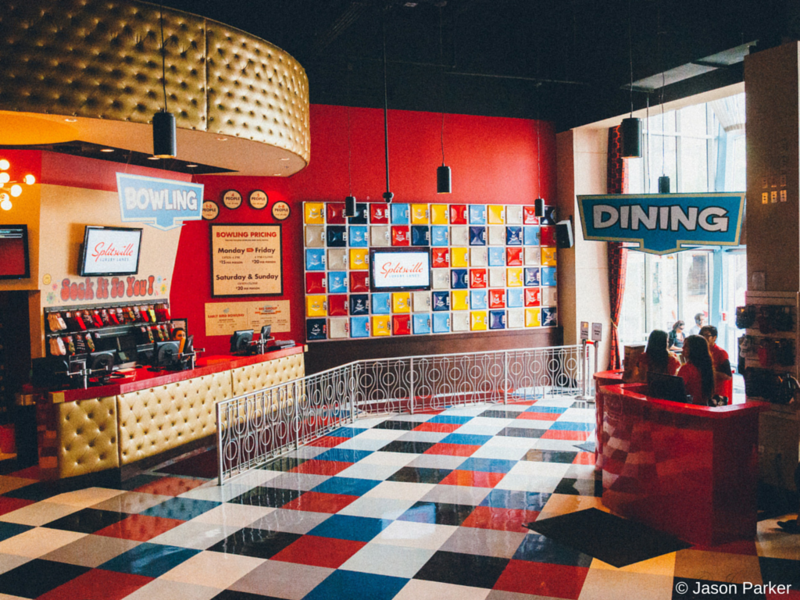 Splitsville is totally retro, slightly nostalgic, but is definitely not your Daddy’s bowling alley. *TIP: The Disney Springs location has two floors. The bottom floor welcomes families and groups of all sizes, while the upstairs is slightly more intimate and meant for those looking to enjoy a quieter time. Sometimes even the best of date nights need a little breather. Step in to the Pop Gallery to let your food digest or just to relax and enjoy your night. This little gallery features quirky and whimsical art, toys, and jewelry inspired by 20th century American pop culture. 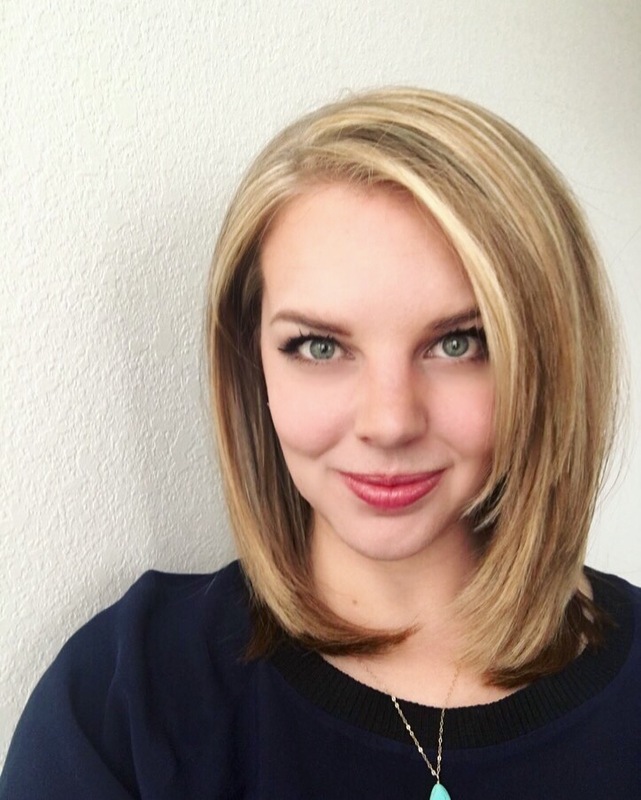 It has a uniquely mid-century feel and is a totally fun and lighthearted stop along your date! 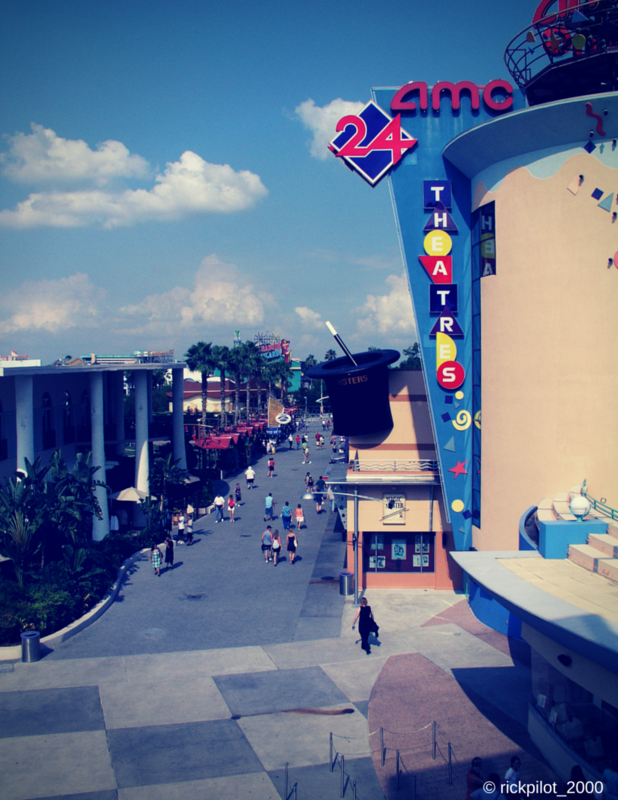 The AMC Movies at Disney Springs 24 is a 24-theater cinema playing all the latest blockbuster hits. Nothing beats dinner and a movie, so why not head in for the unique Fork & Screen Dine In Theaters to get the best of both worlds! Guests over 21 can also enjoy MacGuffins, an inviting bar offering beer, wine, and cocktails available to bring in the theater. Playing 7 nights a week, various live bands stomp out high-energy, authentic jigs and pub favorites. Be sure to catch the award-winning Irish dancers for a totally unique way to spend some quality date time! 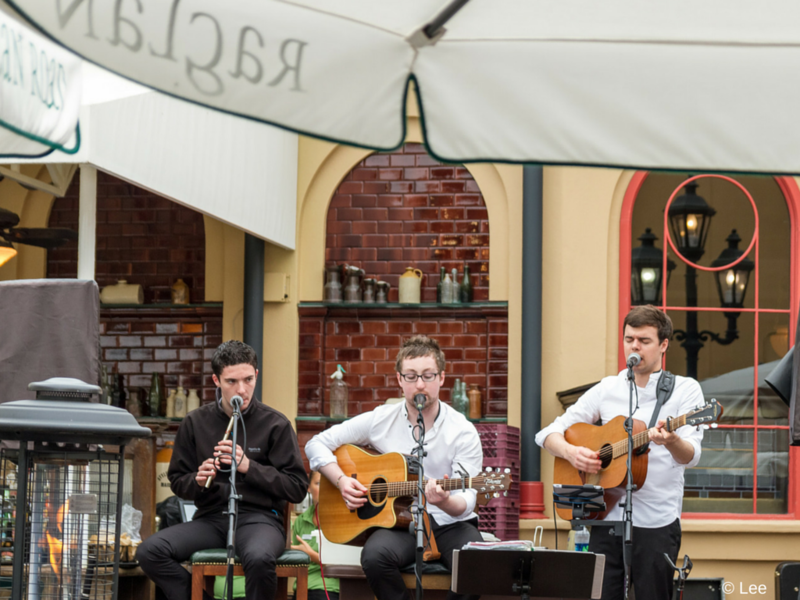 I love seeing the music at Raglan Road as a date activity because it’s truly unlike anything else you’d experience on a “normal” date. It’s riotous, fun, rowdy, and has some of the best Irish music you’ll hear this side of the pond. *TIP: To better plan out your night, check www.raglanroad.com to get exact show times and to see which stage the band will be performing on. 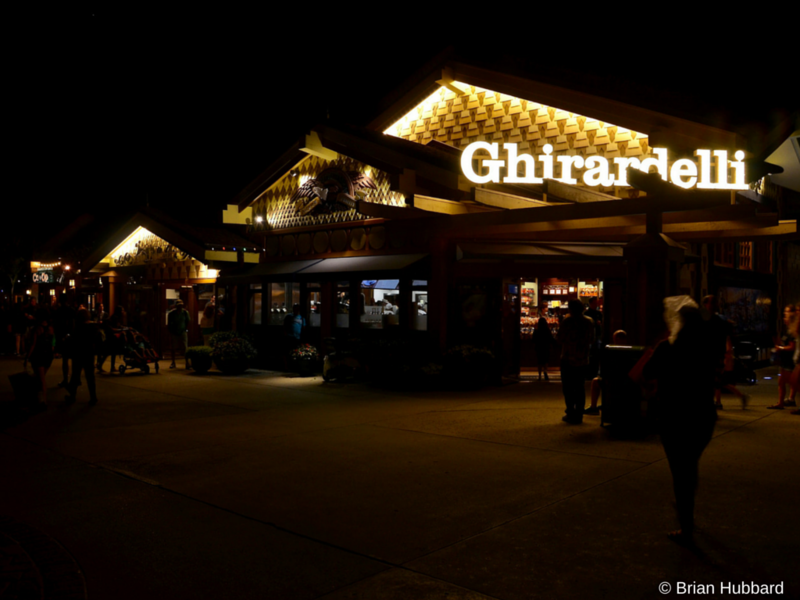 It’s no secret that a romantic dessert is the perfect way to wrap up any date night, and nothing could be better than the Ghirardelli Ice Cream and Chocolate Shop. With its signature sundaes, fudge, floats, and shakes, there is seriously no end to the decadence here. My favorite is the Sea Salt Caramel Hot Cocoa for chillier nights or a Golden Gate Banana Split to share with my date! You can enjoy coffee and espresso drinks at Ghirardelli as well, making for a nice pick-me-up after some (potentially) heavy eating. The best way to end your amazing Disney Springs date night is to finish up at the World of Disney. This is the single largest Disney store in the world, and will inject some Disney magic into your date! 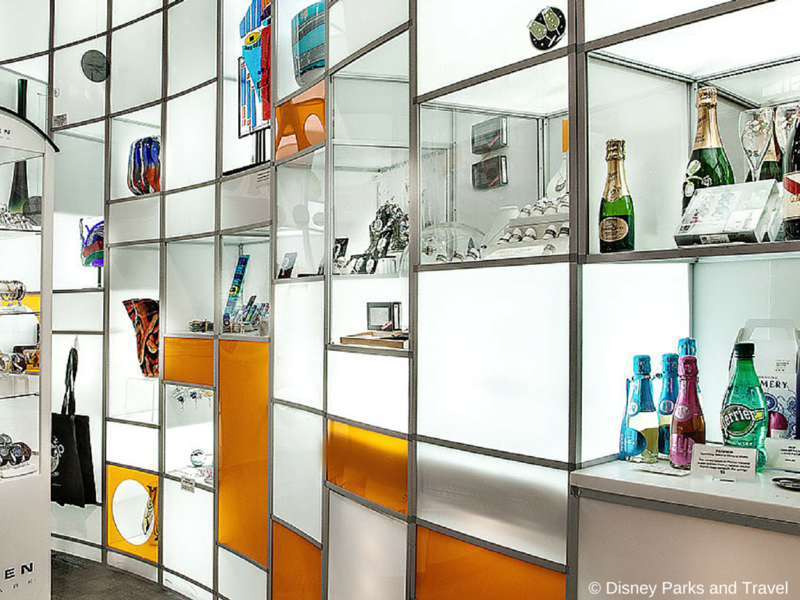 Browse the different rooms filled with variously themed merchandise and just enjoy the wonderful feeling that only Disney can bring. I can’t think of a better end to a perfect night! 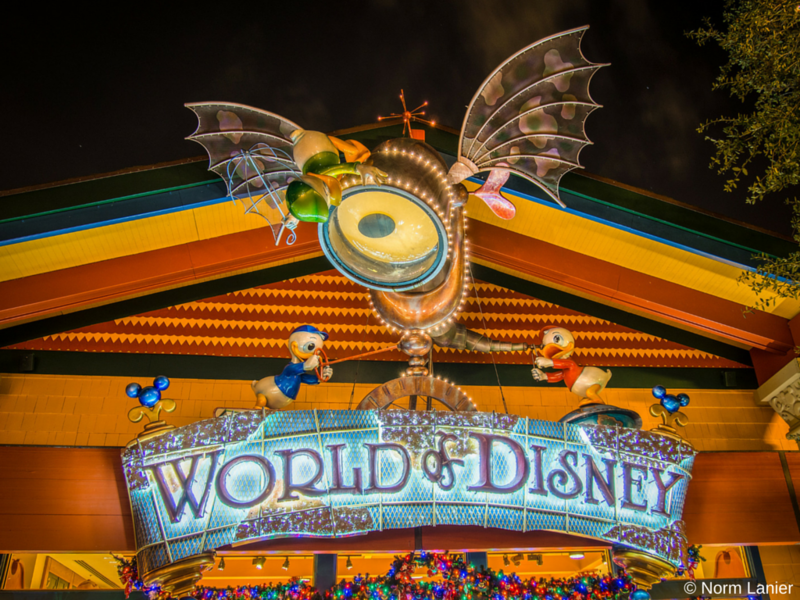 *TIP: World of Disney is filled with collectible items. Find a fun and cheap collectible to remember your date such as a small pin or picture frame. *PRO-TIP: For the hard-core Disney-phile, this is a great spot for some fun photo-ops. Take pics with Mickey Ears, a funny t-shirt, or maybe even pose for a light saber battle. There are so many more places and combinations of things to do at Disney Springs. 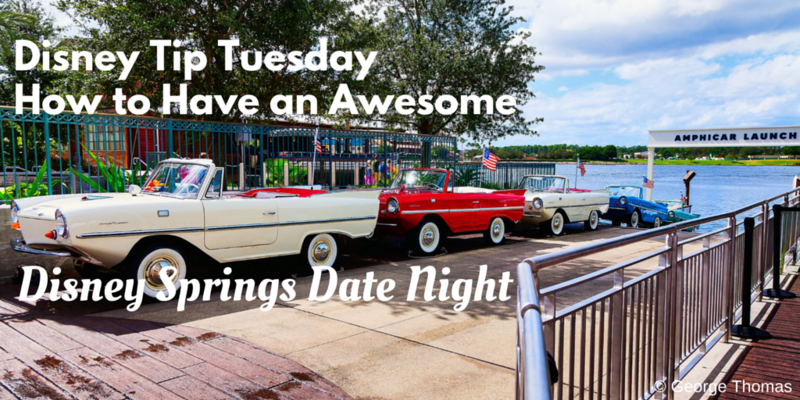 What are your favorite Disney Springs spots for a great date night? Let me know in the comments and be sure to like @everafterreport on Instagram.